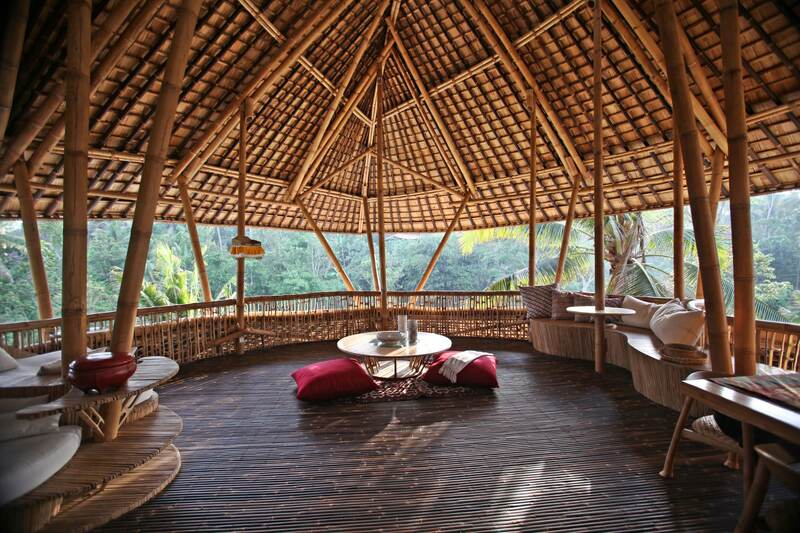 TEMPLE HOUSE is a bamboo home with sweeping lines and hoop corners, built by combining dramatic angles and soft curves. 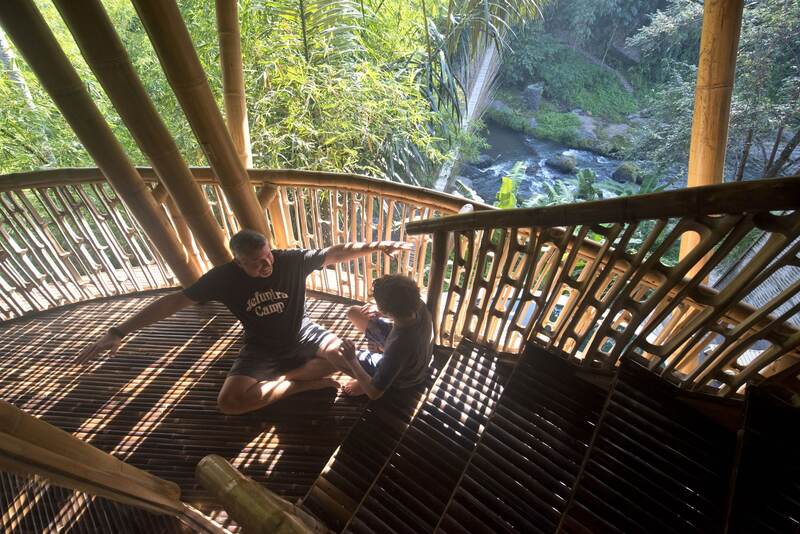 This simple property features three levels that cascade down the slope towards the rushing Ayung river. 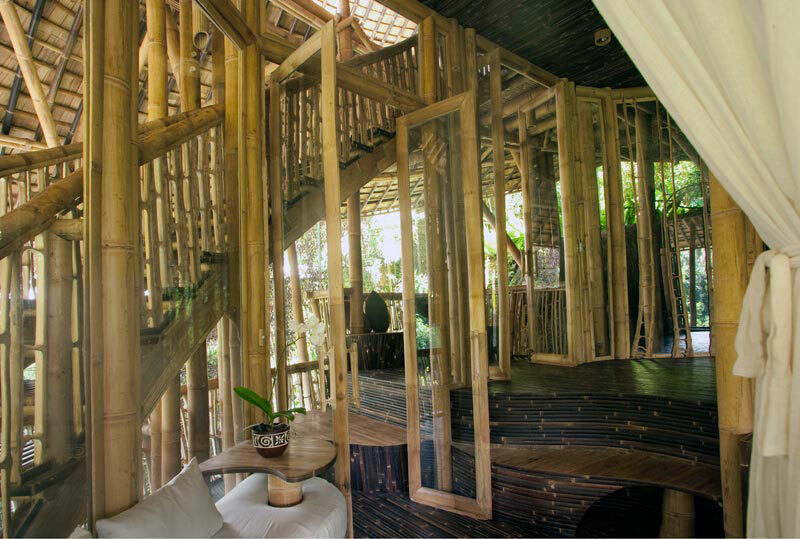 Enter this bamboo house via the top level through a round door, framed by two cocoon-shaped bamboo baskets. This 3-bedroom house has luxurious bamboo floors, walls, ceiling, stairs, and railings – all in a kaleidoscope of shapes and patterns. All rooms in the Temple House are well-appointed with exquisite bamboo furniture. The open living area and the fully equipped modern kitchen are designed to capture the natural beauty of the river and its surroundings. . There is one large master bedroom and two guest rooms. Each bedroom is glass-enclosed and air-conditioned. 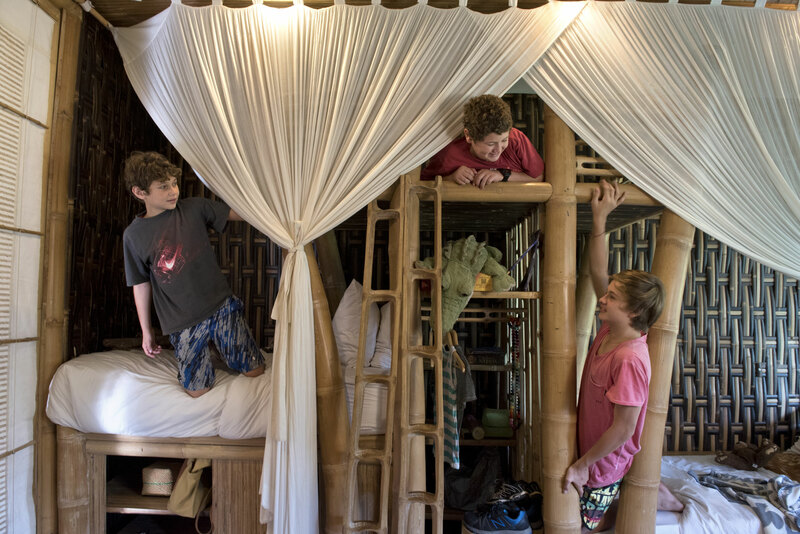 The guest rooms can be repurposed as children’s bedrooms and are suitable for bunk beds. The entertainment room provides ample family space for a weekend get-together, and comes with satellite TV. The private pool features a separate bamboo cabana, an ideal place to wind down an afternoon of self-indulgence or quiet reflection. 3 bedrooms, built in an enclosed glass environment with cooling AC units. Glass enclosed master bathroom with AC.